Every day, more industrial professionals are calling Quality Fence for their containment and security needs. They simply demand the best. 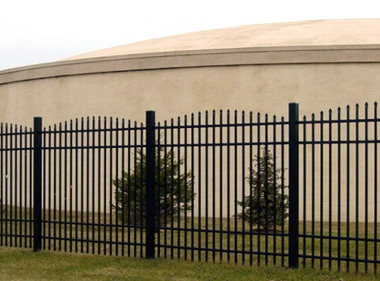 A security fence means strength, durability, and years of dependable service. With Quality Fence, there comes the assurance of the finest construction, selection, and security to give you peace of mind. Why take chances with a less reputable company? Plenty of others may claim to provide quality materials and service, but do they deliver in the long run? Let Quality Fence Company take the worry out of buying and installing your new fence. You demand the best when it comes to your business. You should do the same when it comes to your fence. Demand the very best​, give us a call! Quality Fence Company can meet the demands of the most discerning customer. We give every job our full attention regardless of size. Strong follow-through, prompt turnaround, and some of the best warranties in the business are our hallmarks, as our extensive list of satisfied customers testifies.